“Someone hid a note inside my lunchbox!” said my Kindergartner with a rather irritated tone. “I don’t know. Someone hid a note in my lunchbox!” he repeated still agitated. When I told him it was me, his face softened happy at the fact that no one had sabotaged his lunch but still baffled by why I would put a note in there. I read him the note: Have a GREAT first day! He smiled yet still wanted to know why I put it in there. So as long as he keeps lovin’ them, I’ll keep making ’em and starting this week, I’ll also be putting them in my preschoolers’ lunchbox. 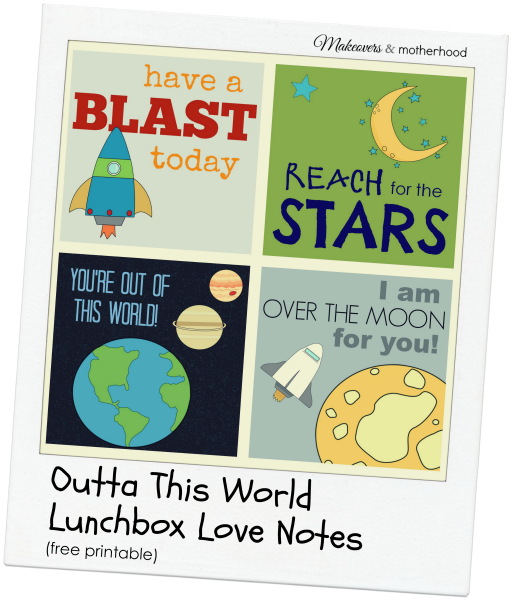 So for my stellar little ones and yours, here are some lunchbox love notes that are outta this world! 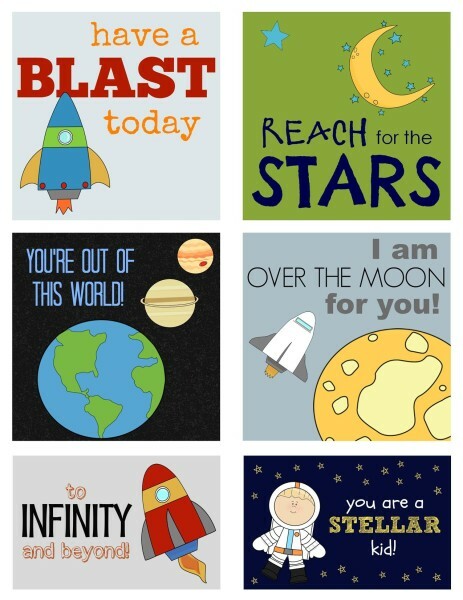 Just print, cut, and hide these little encouraging notes for the loves in your life!